completed by public annual conferences where all the members of the IRC take part and to which external guests are invited. 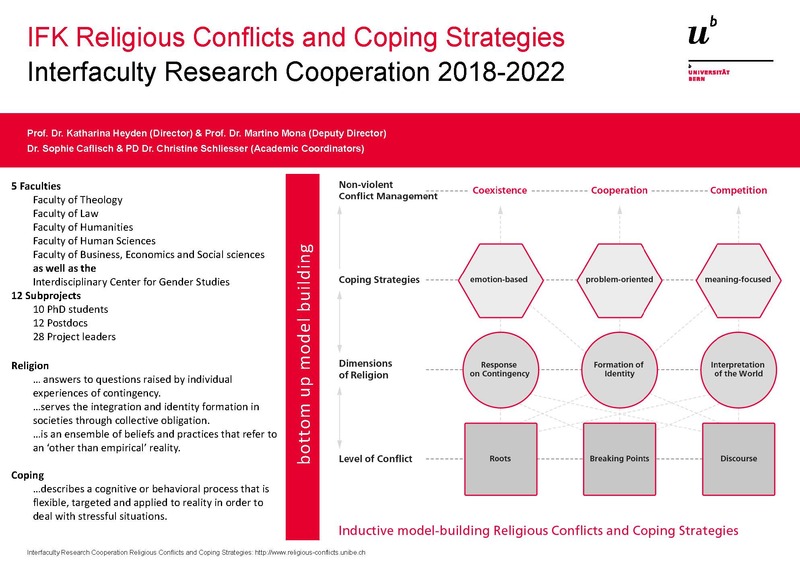 As an overall goal, our research cluster aims at building a context-sensitive model to analyze and describe religious dimensions of conflicts. This model will be based on the results coming from all subprojects. The coordination team – Prof. Dr. Katharina Heyden (director), Prof. Dr. Martino Mona (deputy director), Dr. Sophie Caflisch (internal communication) and PD Dr. Christine Schliesser (external communication) – is advised by an internal scientific board, which consists of eight project leaders who work in different fields, and by an external scientific board, which consists of five international experts in this field.